UPDATE: AT&T confirmed as well that it will sell the RED Hydrogen One "later this summer." On the plus side, AT&T also offers consumers the chance to get a first look at the holographic smartphone through a demo at AT&T SHAPE at Warner Bros. Studios in Los Angeles, on June 2-3. 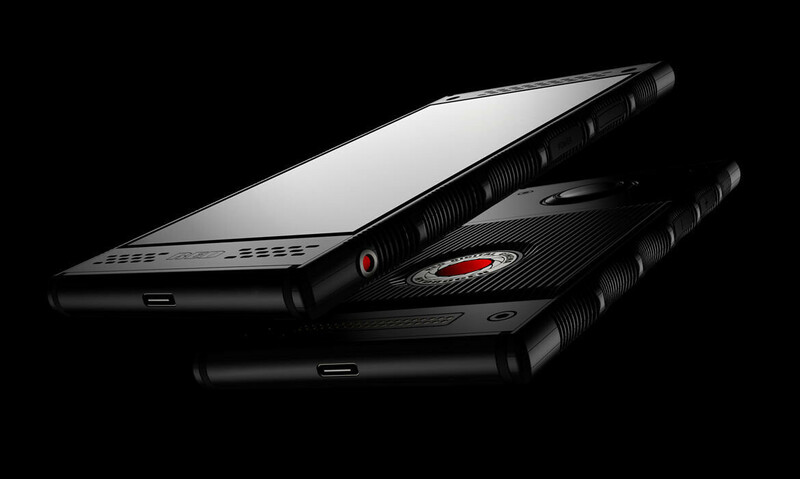 Verizon has just announced it will carry the RED Hydrogen One, world's first holographic smartphone. In addition to the new smartphone, the company behind the smartphone will launch the HYDROGEN network, an exclusive network of channels with 4-View content. We don't have an exact release date for the RED Hydrogen One, but Verizon says it will be available “later this year.” Also, we'll most likely learn more about the phone's price closer to launch, though RED is selling, or rather sold, the unlocked models for $1,295 (aluminum) and $1,595 (titanium), respectively. RED announced early this month that it had to delay the Hydrogen One to August in order to improve the phone's camera. The company also said that it will launch the smartphone with multiple carriers, and it looks like Verizon is the first one to confirm it will offer the Hydrogen One at some point this year. Besides the high-end specs inside, the Hydrogen One will be capable of capturing 4-View video that enables users to look around and behind objects that have shot with the camera. Hopefully, we'll learn more about RED's plans for its holographic smartphone sooner rather than later. Well this could get interesting. This seems fishy in general. There was warnings in the pre-sale that if you didn't order pre-sale availability for sales after release could be iffy, but pre-sale got you a first production run spot...due to display supply constraint. Yet now all the sudden they think they can supply both Verizon and AT&T just fine....with possible slightly different models as I doubt the CDMA stuff was included in the first unlocked version? But maybe? Seems odd somehow though. I pre-ordered one and have been following this, so let me try to clarify: When they first opened up pre-orders, they said that the pre-orders would be coming out of the CEO's "personal batch," whatever that means. I take it to mean initial production run. I don't remember them saying there would be a supply constraint with this, just that there would be a limited window to pre-order because then they had to go into production with those orders, and also that those pre-order prices couldn't be guaranteed when the device goes to full launch. Then, at the beginning of this year, they began to see opportunities for improvement in the usability of the device and internal hardware. After some consideration, they decided they should make those improvements and delayed the initial pre-launch (which was supposed to be Q1 2018). One HUGE such improvement was that the ability to record 4V content was originally only going to work through a modular add-on, but they managed to improve the hardware and software so that the front and rear dual cameras on the phone itself could take 4V. Another thing that happened in this time frame, with the pre-launch now having been delayed, is that they got in serious talks with carriers to make the phone available on a wider scale. They informed us back in March or April that the full launch was now going to be delayed till August because carriers got on board and the approval process, manufacturing logistics, and other considerations had to be factored in. They also cut off pre-orders at this time because now they had to go into production mode. So, bottom line, it seems like an ambitious smaller project turned into an ambitious bigger project due to interest and opportunities that arose. They couldn't suddenly meet larger demands, so logistical changes had to be made and delays were encountered to meet those. I certainly hope the unlocked version works on Verizon, because that's what I'm going to have. Cool. That sorta makes sense. Pretty sure though the pre sale PDF still on the site though doesn't just warn of price if you don't do pre-sale, but also availability....but maybe that is just due to better realization of demand...even with a higher volume initial launch/production run now in the works. Guess we'll see. Won't be surprised if they are hard to get ahold of....even if sales aren't huge. Have to assume they were planning somewhat normal Red volume and realized there was a lot more opportunity than that and have adjusted by a good several multiples....but seems that could still be somewhat limited. I guess, as always, the definition of "limited availability" is at play. Considering the price of the device and lack of details when pre-order was first opened up, I wouldn't be surprised if only a few thousand people pre-ordered. It exists, people have used it, many more people will get a look at it pretty soon...even AT&T said they are going to demo this device in the beginning of June. Its real, cmon, MKBHD showcased prototypes. If anyone will shell out the money for such device? is the question.